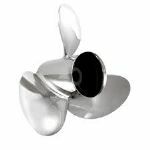 When it comes to Inboard Propeller Installation it is extremely important to understand and execute the installation correctly or you could run into some problems later down the road. 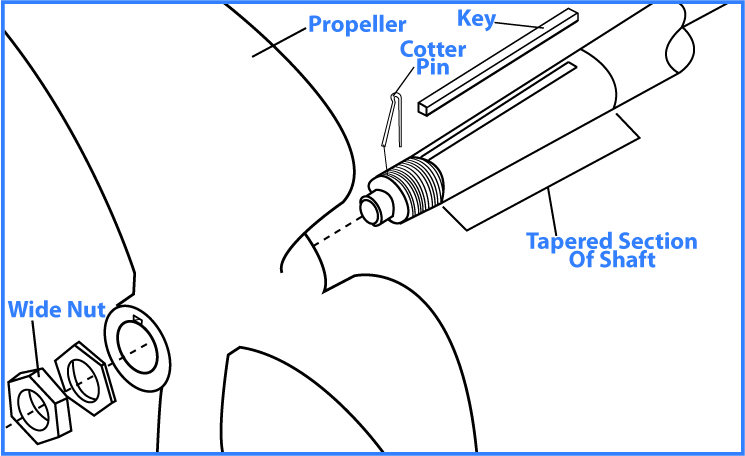 Here we are providing a step by step instruction list that we recommend so your propeller installation runs smoothly. 2) Move propeller back and forth gently to make sure that the propeller has a snug fit and there is no side-to-side movement. 3) Draw a line on the shaft with a marker or other utensil at the forward end of the propeller where it stops up against the shaft taper. 5) Put key into keyway on shaft taper with radiused or chamfered corners (down) in shaft keyway (if propeller shaft keyway has radiused corners). 6) Put propeller onto shaft taper. 7) Check to see that the propeller comes back to the forward line made in Step 3. If it does skip down to Step 8. If not, perform the following. a. Remove propeller from shaft. b. Place a file on a flat surface area or work bench. c. Run opposite end of chamfered key back and forth over file (to remove any burrs) with a downward pressure on key until side being being filed is clean. d. Install cleaned key in shaft keyway with chamfered corner side downvin shaft (the cleaned, filed side up in keyway). e. Replace the propeller on the shaft and fit snugly on taper. Check to see if it reaches the line made as in Step 7. If it does not line up then repeat Steps A-E. Note: A vise can be used to hold key and then filed, but care must be taken not to tighten too much, causing burrs and irregularities on key. 8) When propeller hub moves to correct position, install propeller nut on shaft and torque to seat the propeller. Install the torque jam nut also, if your shaft is so equipped. 9) Install cotter pin at end of shaft.